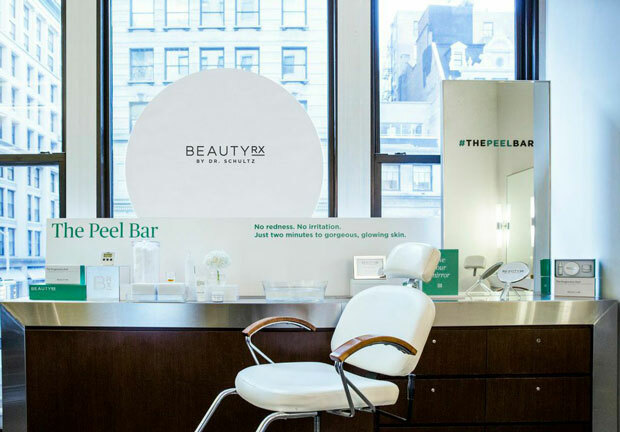 Is BeautyRx’s The Peel Bar the New Blowout Bar? Imagine having a face peel done and then applying makeup for a night out. Now imagine that peel only taking two minutes and getting facial-worthy results without any redness, irritation or downtime. This is now possible thanks to BeautyRx’s The Peel Bar, conveniently located at one of our favorite salons. The professional-strength glycolic peel by Dr. Schultz is the same 40 percent “lunchtime” formula offered in his office and begins with a facial cleanse, followed by the two-minute peel and completed with a moisturizing sunscreen. And just like that — you’re ready to go back to work or head out for a night on the town. The quest for soft, lit-from-within skin is ongoing and Dr. Schultz’s line focuses on just that. “He is passionate about exfoliation and BeautyRx is a comprehensive skincare line that is all about at-home peels but also his in-office peels which are stronger and are featured at the peel bar. He has performed over 50,000 of these [in-office peels] and the ones here are being conducted in the same manner as they would be in the office—the same strength, formula, process and even staff,” explains Stuart Schultz, president of BeautyRx. We tried it and can vouch for its amazing results, notably the soft skin we were left with and overall brightening effect. We are hoping this service will pop up at other salons and become the next beauty bar phenomenon. The service is $39 and is offered on Tuesdays (1:00 p.m. to 4:00 p.m.) and Thursdays (12:00 p.m. to 5:00 p.m.) at Butterfly Studio (149 5th Avenue at 21st Street) in New York City. 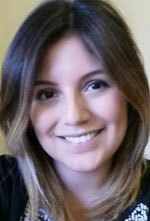 For appointments, visit BeautyRx or call 212-253-2100.